Police conduct a raid on Leticia street, confiscating used PCs for sale that were displayed on the sidewalk seconds earlier. 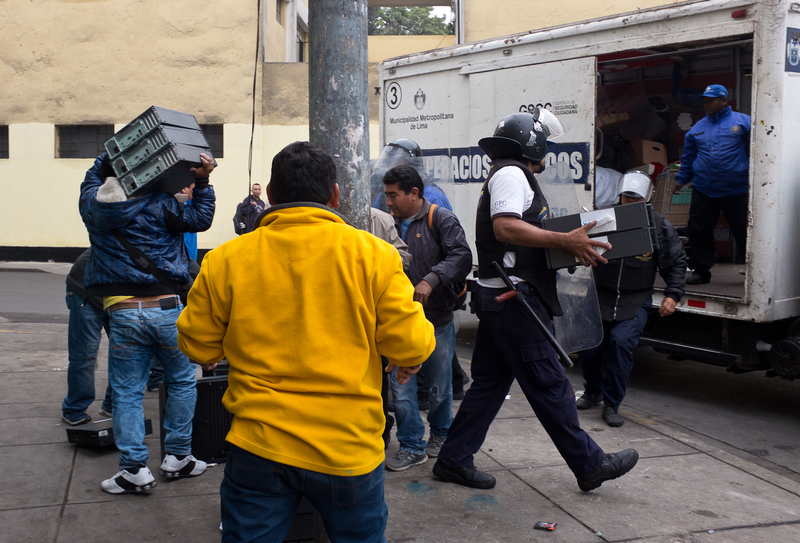 Police periodically raid the informal sector that operates in the open to discourage the practice of informal resale or to confiscate equipment they assume include stolen goods. Police wear masks to hide their identity for fear of personal retaliation if people recognize them.